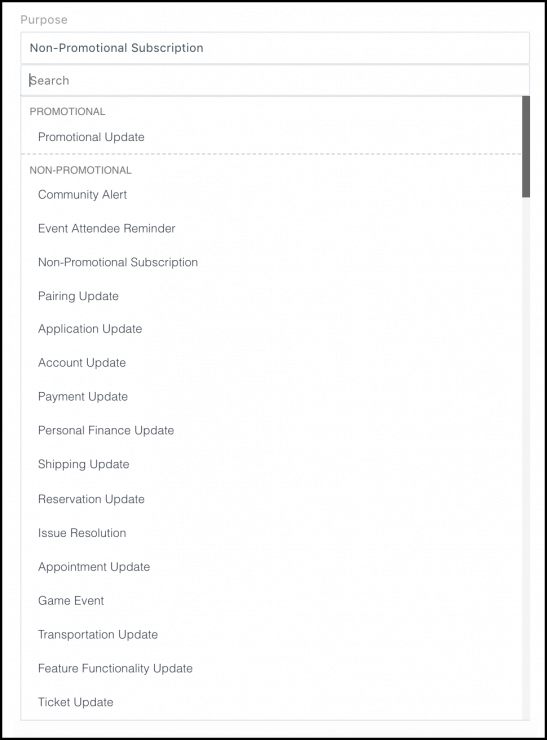 When you launch an email campaign, what’s the engagement rate you’re shooting for? 15% open rate? 20%? An open rate of 25% would put you at the top of most industry averages. You’re good with that, right? False. Email blast open rates are dang donkeys. 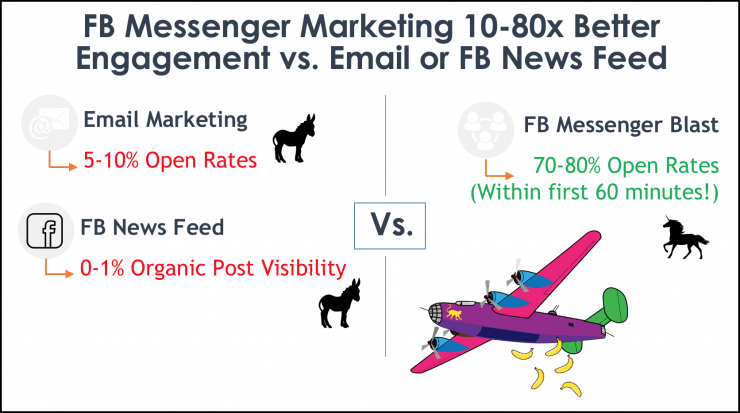 Chat blasts average 70-80% open rate in the first hour because Messenger chat is the engaging and familiar channel preferred by a generation of mobile internet users. You can actually see the chat blast we’ll build together in action in Facebook Messenger. Here’s how to do it yourself. 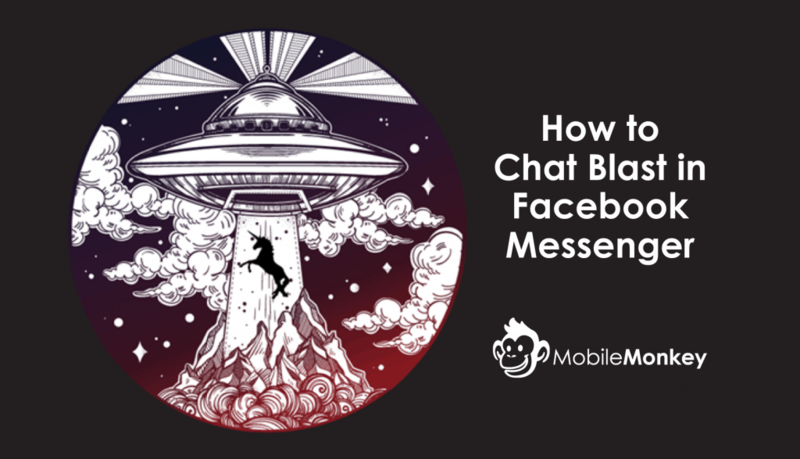 Step 1: Build your Messenger chat page. Start by building the chat page that will go out in your blast. 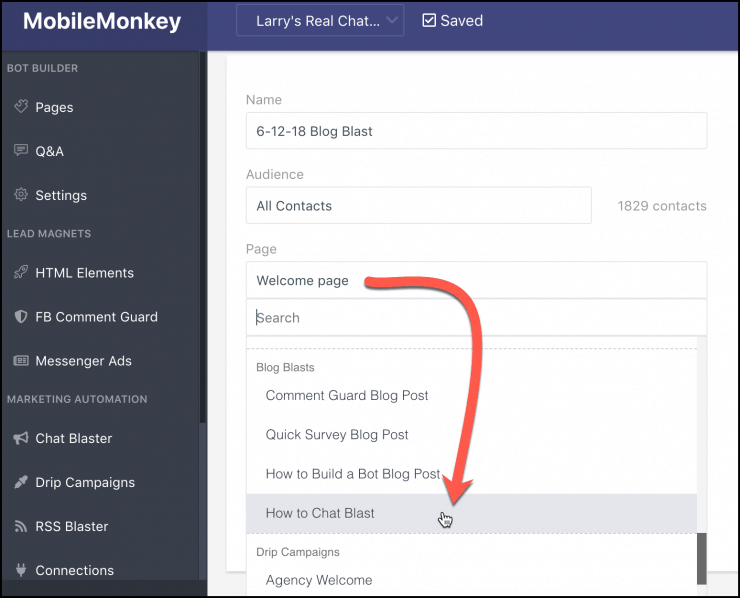 Use the chatbot builder to create the blast page content. And don’t forget your unsubscribe message! Remind readers that they can unsubscribe at any time by responding “stop”. This helps you reduce complaints. Step 2: Create the blast. 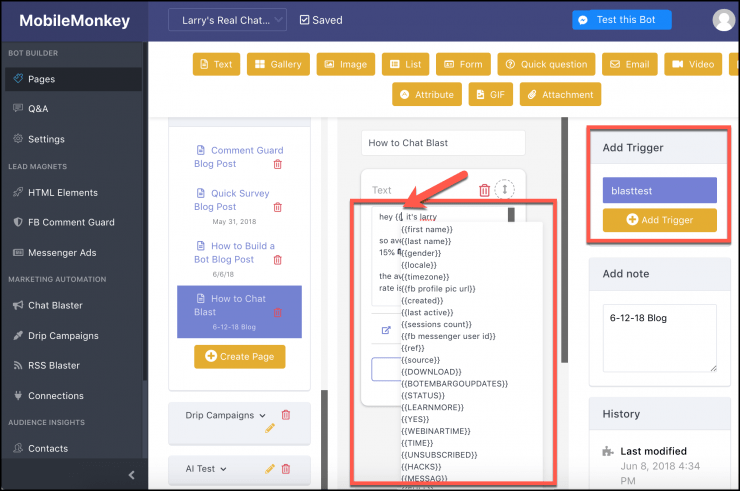 From the marketing automation tools, go to Chat Blaster and create a New Chat Blast. 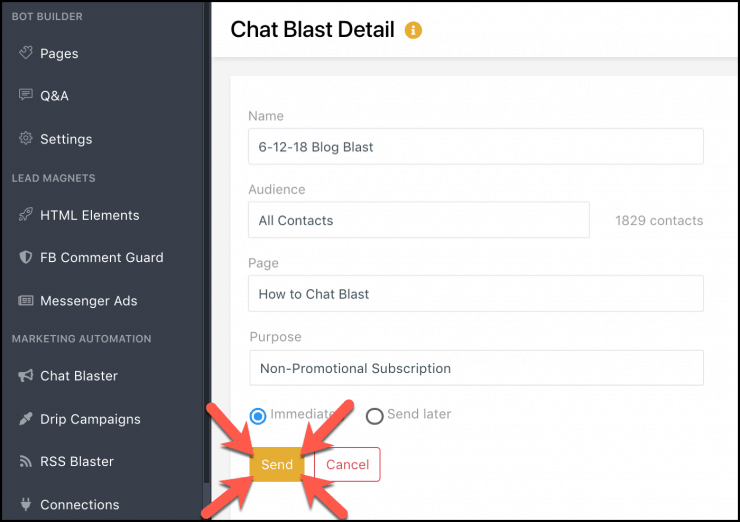 Similarly, use the drop-down options to select the Facebook Messenger audience segment for the blast. Hit send to chat blast away immediately! 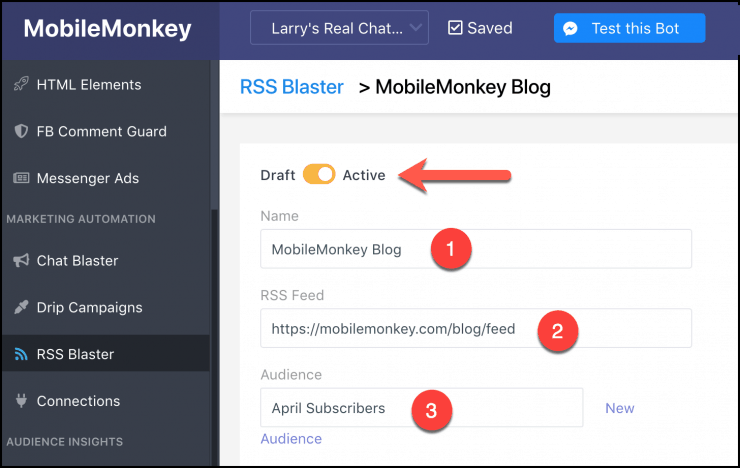 Readers subscribed to your blog updates can get new published content automatically sent to Messenger with the RSS Blaster! 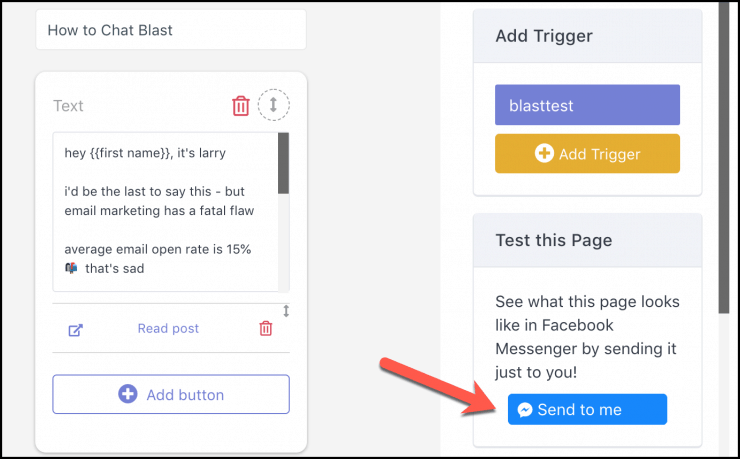 Facebook Messenger RSS Blaster sends automated blog updates to you Messenger subscribers in engaging and mobile-friendly chat with push notifications! Thanks for joining us on this epic journey from donkey email blasting to unicorn chat blasting land. You’re now armed and ready to chat blast. 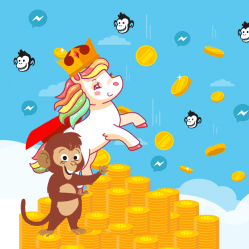 Facebook Messenger Marketing is FREE for unlimited contacts in MobileMonkey. 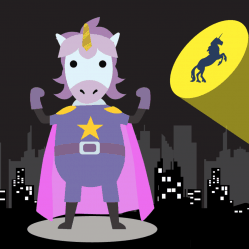 How often do you find free unicorns hanging around? I would like to see some links to step by step videos as a non tech or non coder. I am wondering how we can send these chat bot messages to our Facebook page likers? I am working for the nonprofit sector we don’t have money and manpower to do this. Is there any way or no cost solutions to do this? Converting people who like your page into Messenger contacts is a great strategy. 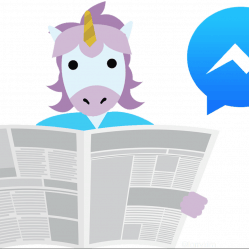 Use a post comment autoresponder to conver commenters into Messenger contacts. 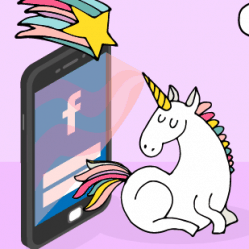 Here’s the how-to: https://mobilemonkey.com/blog/2018/21/facebook-comment-guard-growth-hacks. In the post, let people know that they can sign up for your updates if they comment on the post. Or, publish a question, riddle or enticing offer that will generate a lot of comments. 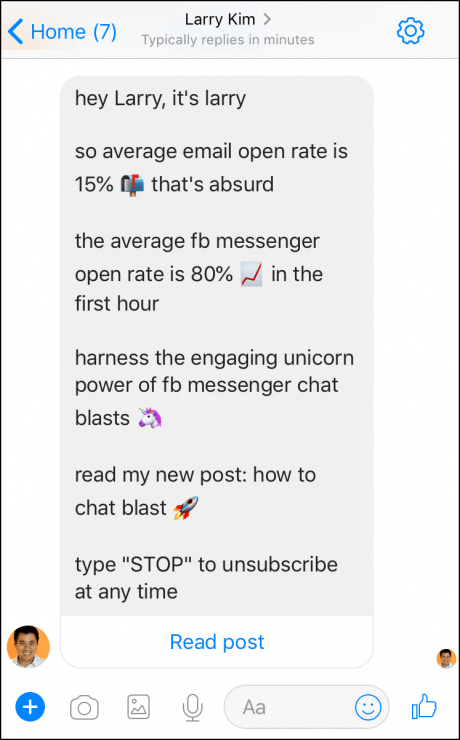 I really like your approach to messenger marketing. I think it is very innovative and creative, which is excellent, because as you show, it is not over-complicate, and many times, the things that work the best are the simplest and that go straight to the point. I wanted to ask you, what do you think of social CRM software? I’m thinking about trying something like this https://www.kayako.com/help-desk-software/social-customer-service to see how it helps me to manage social media inquiries. Thanks in advance for your help! 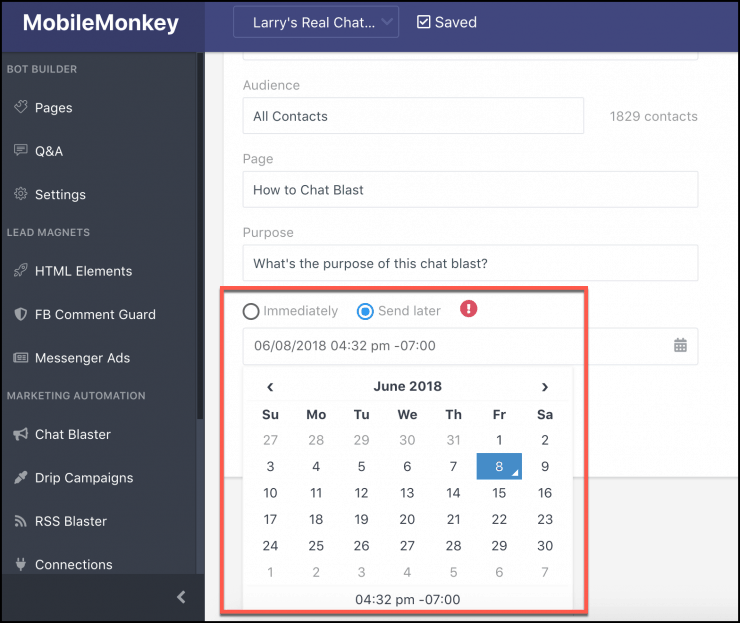 Hi James, MobileMonkey works with your CRM via integrations so your Messenger contact profiles stay in sync with any CRM you use. Connecting these tools could prove useful.